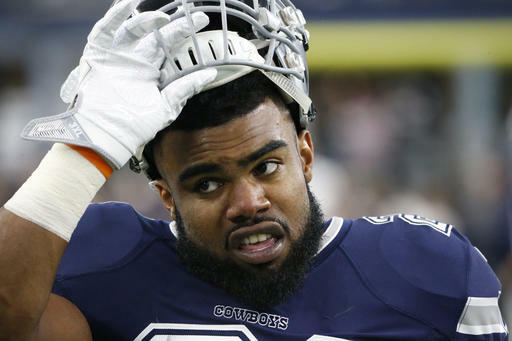 Dallas Cowboys second-year running back Ezekiel Elliot had the 5th Circuit U.S. Court of Appeals rule against him, lifting his injunction that blocked his pending six game suspension handed down by the NFL. Now Elliot’s six game suspension could possibly start after the Cowboys’ bye week. BREAKING: Ezekiel Elliott's suspension has been reinstated after the 5th court of appeals rules against the RB. With the Cowboys currently on their bye week, Elliot would miss the following games: October 22 at the San Francisco 49ers, October 29 at the Washington Redskins, November 5 at home vs. the Kansas City Chiefs, November 12 at the Atlanta Falcons, and home games against the Philadelphia Eagles on November 19, and November 23 against the San Diego Chargers. At this point, Zeke’s earliest return would be Sunday, November 30 against Washington. Elliot and his counsel can apply for another injunction that would once again put his suspension on hold. Ezekiel Elliott's suspension case could continue into 2018 per @MikeGarafolo. The Cowboys will rely on a backfield of Alfred Morris and Darren McFadden. Morris and McFadden have both been 1,000 rushers with the most recent being McFadden in 2015. Morris ripped off a 70 yard run in Dallas’ Week 3 loss to the Los Angeles Rams.